God help his mum. 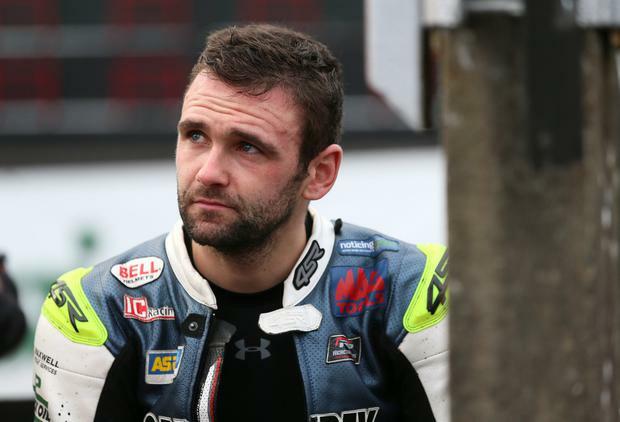 As the awful news of the death of William Dunlop broke, a friend messaged me that same raw, reflexive response which, in the last few days, will have flitted across a hundred thousand Facebook pages, a hundred thousand hearts. God help his mum. God help them all. God help his young, pregnant partner Janine, mother of his little daughter Ella (2). God help those two wee mites who will now grow up with no memory of their father but surrounded and supported by the love and legend of the great Dunlop family. God help his brothers - Michael, that other Dunlop in the family business, and Daniel, the middle lad. What heartache those two brothers must be experiencing today. The entire Dunlop clan. Their wider family and friends. And the whole motorbiking fraternity whose camaraderie and kinship is legend. The race William was preparing for went ahead at Skerries, Co Dublin yesterday. That is how things are done in this sport, this great game of risk and defiance. The Dunlops, whose hearts are as colossal as their courage is unfathomable, gave it their blessing. But God help them all. Ten years ago Louise Dunlop buried her husband Robert. And eight years before that, in this month in the year 2000, the legendary Joey Dunlop was killed in Estonia. One by one in that generation the Armoy Armada had been taken. And now cruel, untimely death dominoes down into a new generation. And Louise Dunlop must bury her son. I have a son who is very close in age to William. I cannot even allow myself to imagine what it would be like if anything ever happened to him. I cannot even bear to think of what that poor woman is going through now. God help her, indeed. Only a few weeks ago William gave an interview to Karen Ireland for this newspaper, speaking with pride and love about his late father Robert and the comfort that came from knowing he had died doing what he loved. "I was never sad for dad," William said. "Of course, I miss him very much, but I also have to remember that he died doing what he loved and he had also enjoyed an amazing career out of it. "It might seem strange to some people but when dad died I never once considered giving up racing. That just wasn't an option for me. My philosophy for life is that you should live how you want to and do what you want." The son, like his father before him, was living how he wanted to live and doing what he loved. And that is the small baton of comfort that passes now to those who grieve for William himself. The boy who took up road racing not despite his uncle Joey's death, but because of it. It was at that time, he explained, something impelled him to try the sport for himself. And, of course, his DNA determined that it would become his life. Many of those who look upon the sport from the outside will regard the risks as unconscionable. In the days ahead there will doubtless be renewed calls for road racing to be banned. And it is not unreasonable to wonder and marvel at the mindset of those who know the odds not from statistics but from personal bereavement. But this is their heroic game. They are not fools, any of them. They know the danger. And yet they defy it. And there is something glorious and noble and ancient in that enterprise. They are the gladiators of our era. And now another has died. Once again the Dunlop name will be carved far too soon on a gravestone, a legend etched indelibly on those winding roads in the North Antrim heartland of the sport. No parent should ever have to bury their child. The fear that has surely haunted Louise Dunlop is now terrible reality. But if anything eclipses the valour of the racers themselves it is surely the courage and acceptance of those who love and support them. Those who also know the enormity of the odds. The fiercely-bonded motorbiking fraternity will fold around the family now, offering what comfort they can. 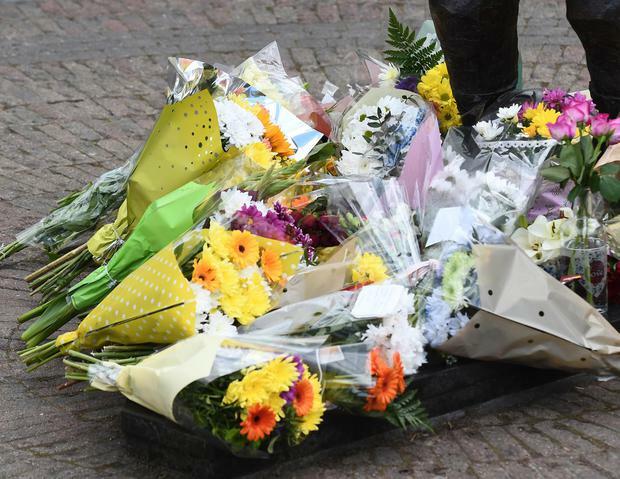 But all of them, all of us, know there is no salve for the scale of tragedy that is synonymous with the Dunlop name. William Dunlop, July 23, 1985- July 7, 2018.